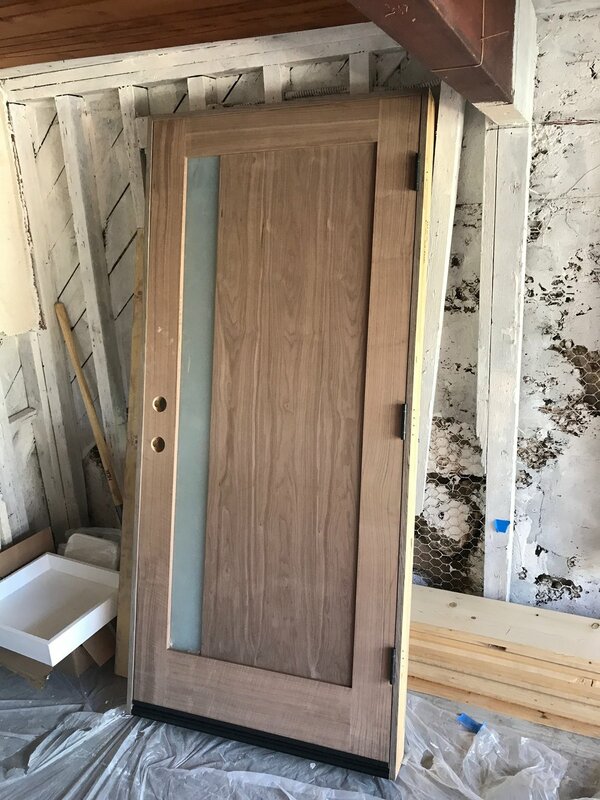 Last month, we bought our front door from Urban Doors. After placing our order, it would take an estimated 3-4 weeks to custom make. Last weekend, our contractor was able to pick it up so we spent this weekend (my birthday weekend!) 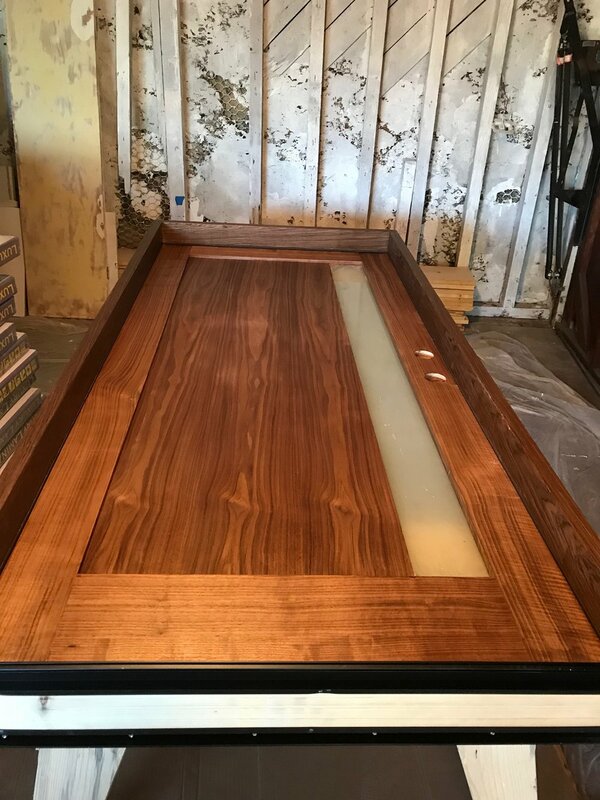 applying a clear coat finish to it — a $400 cost that we were able to pull off for $47. 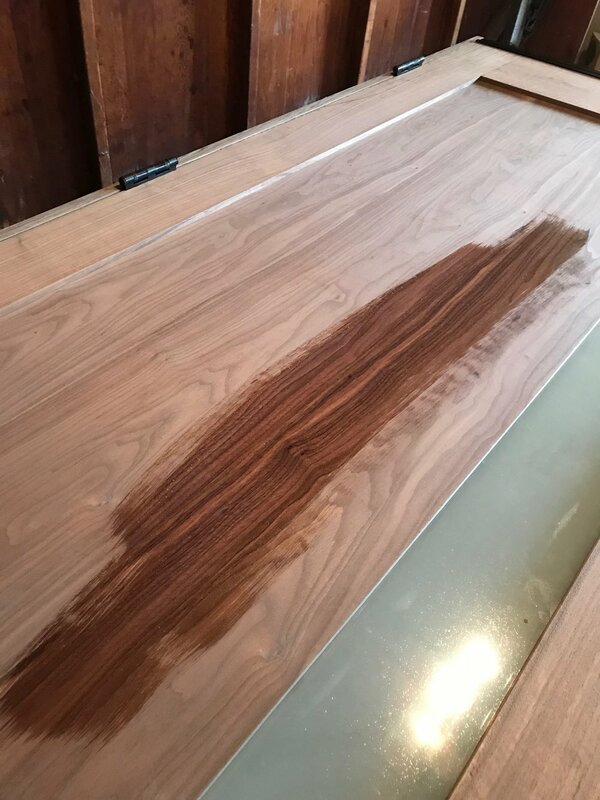 Yep, Urban Doors was going to charge $400 for the clear coat! 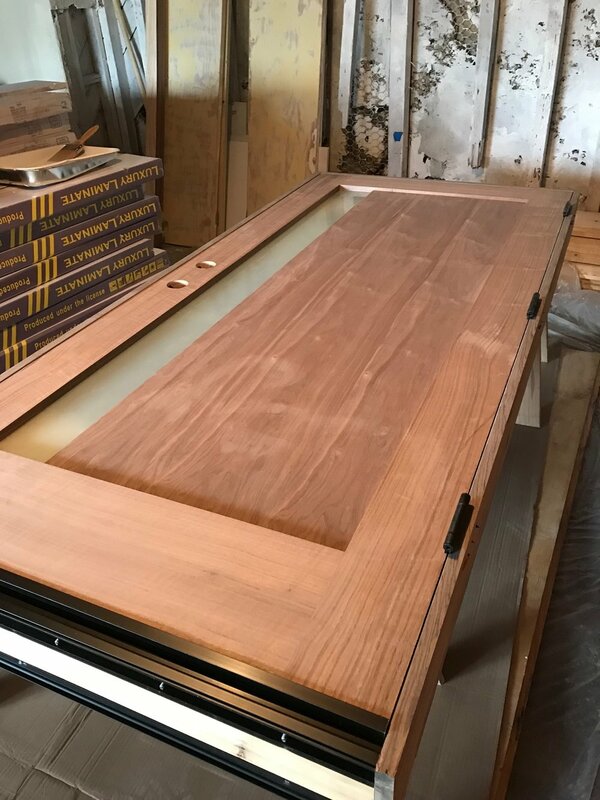 Since our door doesn't receive any sunlight and won't require weatherproofing, we knew it would be easy and felt comfortable doing it ourselves. That said, we did some research but approached it with a "figure-it-out" mindset, for the most part. 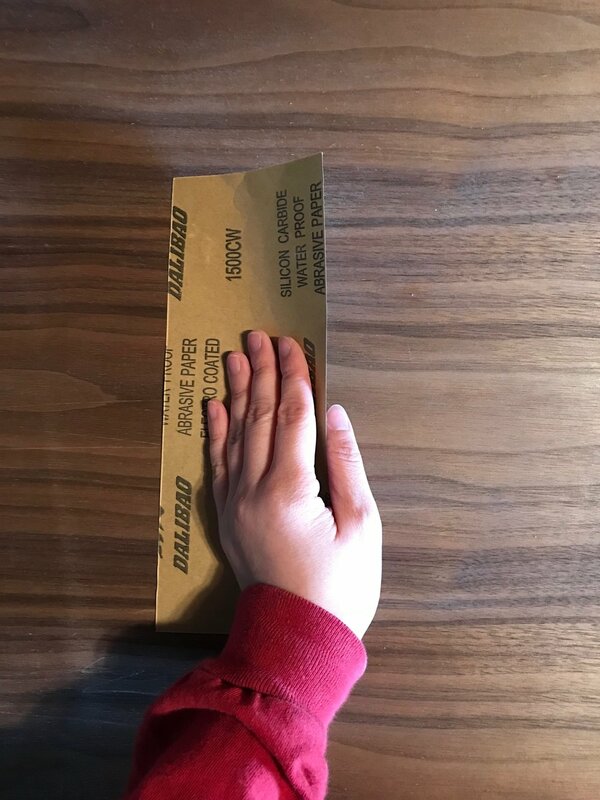 While feeling a little overwhelmed by all our options at Home Depot, we did a quick search on Minwax's website to figure out which clear coat would fit our project best. 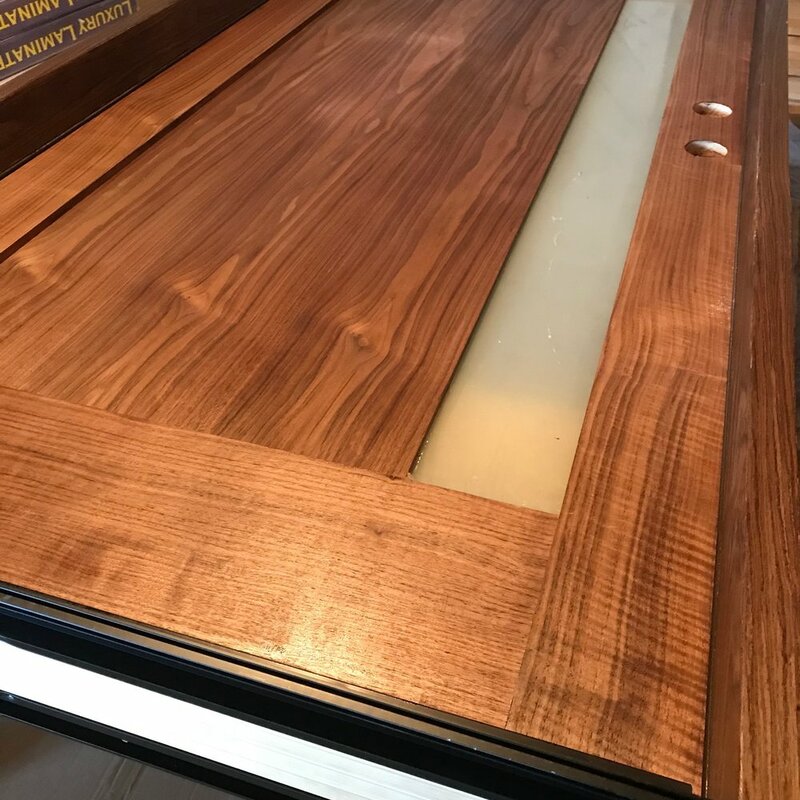 We narrowed it down to their products designed for exterior doors which pointed us to the Water Based Helmsman® Spar Urethane (Clear Satin). We bought 1 gallon and got to work using a high quality synthetic brush. I lightly sanded the surface with a sheet of super thin sandpaper, just to make sure the surface was smooth and even. I decided not to use the sanding block because it put too much friction on the surface. After sanding, I wiped down the surface with a damp cloth and poured the clear coat in a paint tray. I applied a thin coat, making sure to cover all the crevices and not agitate too many bubbles (thick coats take longer to dry and are more likely to be uneven and attract dust). It felt a lot like applying a nail polish topcoat! I could instantly see a great improvement. With the clear coat, the wood became much richer and glossier. I'm glad we didn't stain the door beforehand because the clear coat brought out a much deeper color than I expected. Applying the clear coat took about 45 mins., and we waited 2 hours for it to dry. Then, we flipped the door over and I repeated the process. We left it overnight to dry, then came back the next day to sand it down and apply another coat to each side. I even had enough time to apply a final 3rd coat to one side. Ultimately, I'll do the same to the other side, most likely after it's installed this week. The final product after 3 coats. All in all, the project took about one weekend to complete (keep in mind that we still aren't living in the house, and we let the door dry overnight). We're so happy with the results! It's smooth, glossy, and really brings out the beautiful wood grain. Plus it saved us hundreds of dollars!